My Lincoln turned 7 last month. Seven is a good year for this kid. He is in a blossoming and shining moment. He has worked up to 30 minutes of violin practice 5 days a week. This is the same kid who whimpered to get through a 5-minute practice last year. He is focused on his schoolwork and gets it done. He is pretty thorough when given a job. He is still careful and very protective of his sisters. And the kid still has the best smile and laugh I’ve ever seen. Always has. He was born with it and it is still just as contagious today as it was when he was a baby. This is one of Lincoln’s big smiles that I love (though it is a little on the small side for a Lincoln smile.) 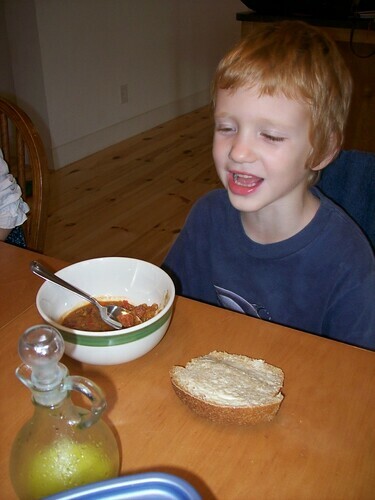 He is getting ready to eat the Lentil Soup he made for supper. This is one Lincoln’s sweet little smiles, which is just learning to develop. I wonder if he is figuring out the effect they have on me? It sure does seem like he has perfected this one of the last few months. 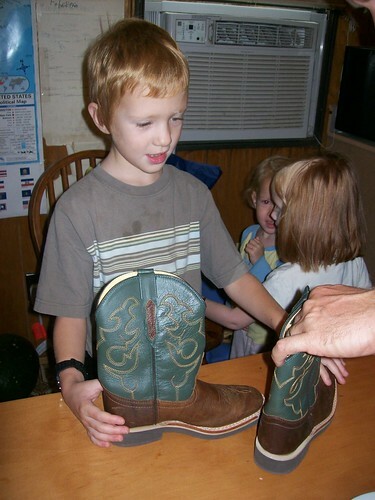 Lincoln loves horses, so he got a lot of cowboy-related stuff for his birthday. 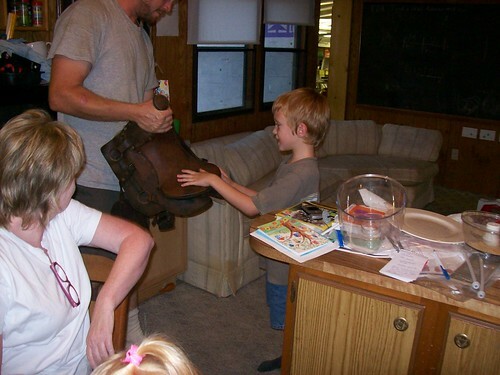 And an old saddle that his Aunt Bree got into her crazy head to buy him from a consignment shop. 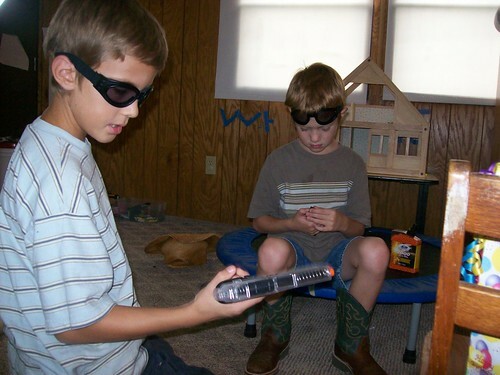 Of course, every cowboy needs an airsoft gun. How else can he protect Princess Rachel and Princess Prairie? We don’t celebrate birthdays in the single digits in our home without dirt cake, the kids’ absolute favorite.